On 4th March, the important Food Waste Bill will be read for the second time by MP Kerry McCarthy, and in celebration of the re-reading and to remind you all that it is happening very soon, in the midst of the US Presidential Primaries, the tragic way the Jungle is being dismantled and beyond; here are a few ideas, below, of how to make the most of the food you buy and eat! There are recipes for 4 delish seasonal veggies that you may struggle to know what to do with, plus storage and preserve-making tips! 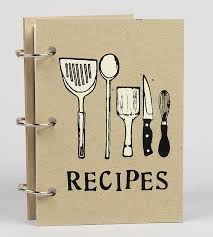 Perhaps some of these tips will help reduce the amount of food that doesn’t quite make it into your stomach, even if only through the especially delicious recipes featured, that hail from some of our friends and those we admire! Before you read on to indulge your stomach in the last stages of winter, please do write to your MP to make sure they attend the Food Waste Bill reading, if you haven’t already, and remind them again if you haven’t done so for a while. 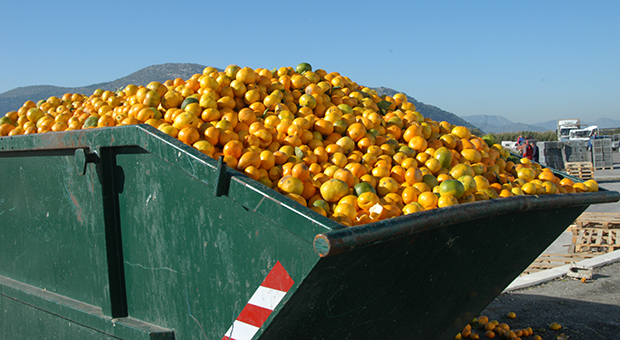 What is the Food Waste Bill? Find out more information about the Food Waste Bill here! In just two minutes: send this letter to your MP via www.writetothem.com. In just one extra minute (go on! ): to further show your support, sign the STOP THE ROT petition here: www.change.org/p/stop-the-rot-end-supply-chain-food-waste. Seasonal veggies in the depths of winter look a little grimmer than you might like; where the bright reds of the summery tomatoes and their fellow friends the peppers are replaced with ever-reliable greens and those good ol’ rudimentary root veg, stalks and growths flailing in all directions, muted colours, warted skin and all… but they come from warm, cosy dark abodes under layers and layers of mother earth, providing them with so much depth of flavour… and they are here and ready to be cooked up and warm you up from inside out long after those flighty summer vegetables gave up on us at the first sign of an earlier dusk. Give root vegetables a chance! Shop seasonal this week; love your leeks, show compassion to celeriac and be generous to those Jerusalem artichokes – and you might just make a few new culinary buds. …In this case, try buy seasonal produce from where you can afford it, shop local if you can rather than big chains, and, look out for wild nettles, a great spinach substitute both nutritionally and flavour-wise that nature makes available for free! Just take some gloves and some scissors out with you, cut off the top few leaves only, and don’t forget to give them a good wash! 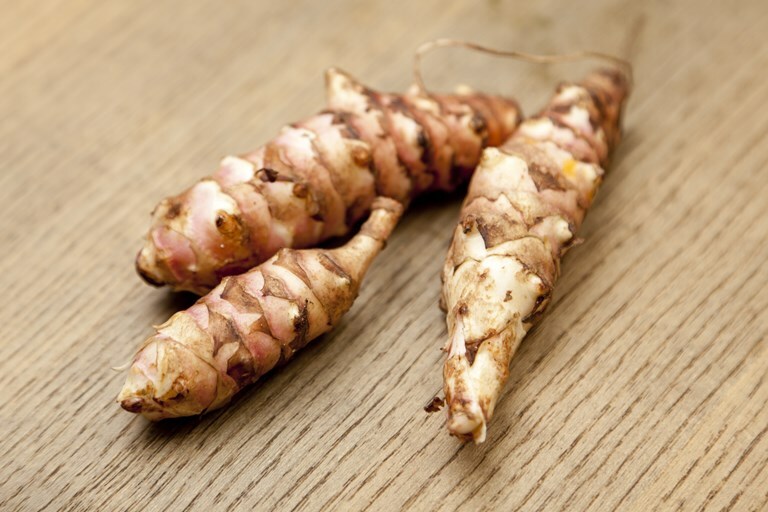 Jerusalem Artichokes: Jerusalem artichokes: these knobbly creatures poke out from underground, resembling anything from moles to mice to manatees; they can be cooked in all the ways you might cook potatoes. With a good pinch of indian spices, especially turmeric, fennel seeds and ginger, you don’t have to deal with the murmuring complaints of stomachs that may otherwise come from a Jerusalem artichoke feast. 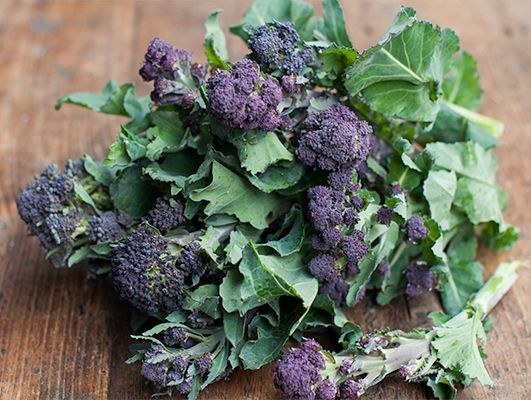 Purple Sprouting Broccoli: When winter seems only to hold white and green and the occasional orange of squash or more common varieties of carrots- purple sprouting broccoli provides a splash of different colour to your plate. Store: In the fridge, will keep for a few days. The wartiest of them all, but such a winter warmer, and yet delicious raw finely cut too! What to do with it? 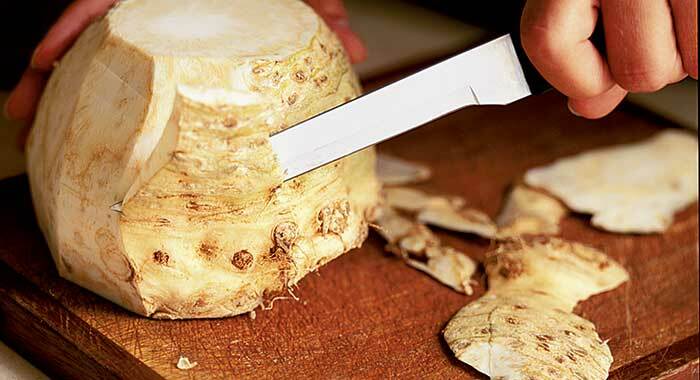 : Celeriac can make a veg-filled fried treat or a no-fuss veggie Sunday Roast heaven amongst other delicious dishes! – don’t have a grate amount of time? Someone lost the sharp knife that could get through those dense root veg? You need THIS recipe for a dream, no fuss celeriac roast http://www.riverford.co.uk/recipes/view/recipe/whole-roasted-celeriac No Chopping Needed! Store: Wrap it in plastic or keep it in the packaging it came in, and store in the fridge. Don’t wash it till you want to use it! – Rhubarb bread pudding: nice way to use up bread too: use regular breadcrumbs if sourdough is a luxury you don’t often have, don’t have time to make, or which is gobbled up as soon as it does make an appearance! How to preserve any excess: Freeze then use straight from frozen. If you want it for baking cakes etc. 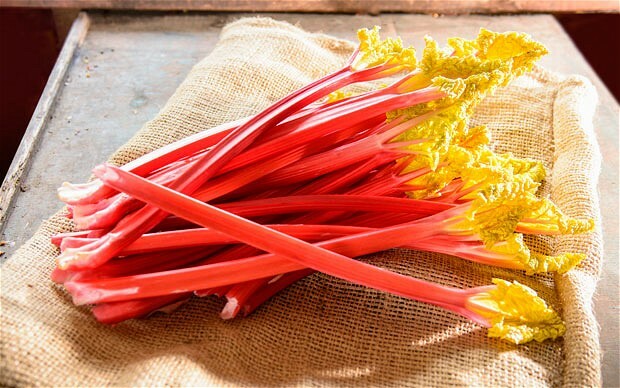 then pre-chop into the size you’ll want, freeze initially on a baking tray then transfer to a bag once frozen; and use straight from frozen for gooey rhubarb pieces in your puds! Give your winter cooking repertoire a spring-inspired shake-up, try out some of the recipes and let us know what you think!